Another excellent Paxton Robey interview by Bob Keeton! Paxton Robey possesses such profound knowledge! Paxton is an engineer with a degree in Engineering Physics. He has worked in the corporate world, owned and operated a solar energy engineering business, and in the 1980’s he taught at Oklahoma State University in the school of Electronics and Computer Technology. For the last ten years, as a consultant, he has been doing training for large corporations and the US Department of Defense in the field of computer networking. 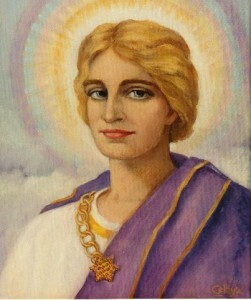 In 1968 Paxton became aware of his connection to the spiritual realms through the gift of psychic functioning and channeling. 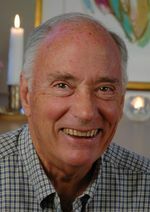 For over 40 years he has done psychic counseling. He has given numerous talks and facilitated many workshops with metaphysical and spiritual seekers. As an intuitive mystic he has an understanding of how we can expedite our own path to awakening. His bliss is sharing his vision of self awakening and planetary awakening with others. He is author of the book, NO TIME FOR KARMA: STEP OFF THE WHEEL OF PAIN AND STRUGGLE, Available at Amazon.com. Living Successfully, Radio Tuned In to the Heart! 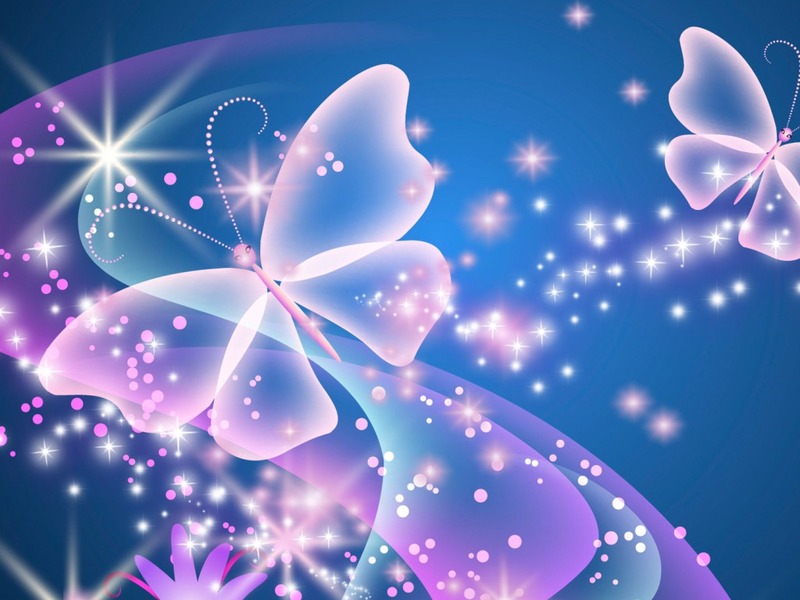 PROGRESS REPORT ON LIGHTWORKER FLAG – 2/26/14 – LET’S ENVISION THIS BEING A WIN-WIN PROJECT FOR ALL! A WIN-WIN PROJECT FOR ALL! mailbox on the street and a flag that could be hung in the front yard. I appreciate your time in answering my questions. in touch with you as soon as he becomes available. Filed under: Spirituality |	Comments Off on PROGRESS REPORT ON LIGHTWORKER FLAG – 2/26/14 – LET’S ENVISION THIS BEING A WIN-WIN PROJECT FOR ALL! Dratzo! We return! Much is happening across your globe. The dark cabal struggles to maintain its power and sees that these efforts are in vain. The Light, now represented by ancient families and numerous sacred secret societies, has come and laid successful claims to the wealth and power of the dark. This legal assault is aided and abetted by us. We come to end this unholy debauchery of the dark and to bring in a new time, filled with prosperity and your liberation from the odious enslavements perpetrated on you by the dark. The Ascended Masters, acting under the divine decrees of Heaven, have established the means by which the dark is to surrender to the Light. This process is underway and is reaching its first major milestones. The prime instrument of your enslavement is wealth, and especially that most hideous invention of theirs, “fiat money.” This insidious invention has created unnecessary inflations and manipulated panics or “crashes” for centuries. Each time, these vile maneuvers greatly enrich the core of the dark cabal while creating events that have further cemented their rising power. The results of these manipulations led to war, death and division. We are in the midst of ending this odd merry-go-round and replacing it with a divine stability that permits you to clearly see what is real and what is not. As you begin to expand this process to include the wonders that are Gaia and her amazing eco-systems, you discover your true purpose for being on Earth. You are a special Being that is meant to be an ever-Loving intermediary. You have the ability to correct those things that threaten these eco-systems and provide those things that can actually help every being that resides upon this globe. Moreover, you are on the verge of rediscovering your subterranean brethren. Inner Earth is in actuality a 5-D realm. It is where you are to return and resume the special mantle of being fully conscious humans. The truth of this is now vibrating within every cell of your body. We are here to assist this process and, under Heaven’s direction, to transform your current troubled reality. This transformation begins with vast alterations to your physical, mental and emotional bodies, and is to end with a spiritual transformation that returns you to full consciousness. The dark comprehends this. Yet, it cannot bring itself to give up the power that it has controlled for millennia. This power is currently being pried from their hands by the dire situation that this group presently finds itself in. The dark is attempting to find new sources of wealth and somehow wiggle out of its current nightmare. A process is underway that is forcing them to walk down a road that leads to a very high cliff. Lemming-like, they are going to swiftly leap over it into a dangerous abyss. That is when we can install the freedom and prosperity that are your real destiny. That is when disclosure happens and we can freely land across your globe. It will quickly lead to a new reality and a general re-acquaintance with your spiritual and space families. Events are occurring even as we speak that are the beginnings of the process we have herein described. To correct this world, we need to force a resetting of the world’s currency and quickly follow it with a return to a precious metal-based system. Included in this is a restructuring of how the financial world operates internationally. These positive corrections will be the foundation for the release of the prosperity funds and technologies that will start a reversal of the criminal pollution of your environment by the dark cabal and its numerous minions. These events herald the moment when the Ascended Masters can at last freely speak in public on a number of vital points that affect most of your core perceptions. Their lessons will prepare you for our mentors and their talks with you about the path to full consciousness, and the Agarthans will appear and explain who you really are and what is to be expected of you by Heaven. Hosanna! We are your Ascended Masters! Our beloved Mother is in the midst of great physical changes. Gaia is preparing her surface realms for the grand redesign! The beauty that is soon to manifest blesses humanity. We are now watching as the dark ones resign themselves to the fact that a power shift is presently happening. Money has long been at the core of their ways. Our associates are taking this tool from them. Following this currency shift, there will be a return to precious metal-backed currencies. This is to eliminate the various tricks and schemes used by the dark to manipulate its many currencies. There is also a series of new bank regulations that will prevent several “tricks” used daily by the large international banks. These will precede the actual release of the prosperity funds and the rise of new governance. This new governance will set the stage for the general return of Common Law. While all of this is happening, you are to receive the next steps in your physical transformation to full consciousness. Your main head chakras are to be readied for the introduction of two new chakras. This can cause increased headaches, general blurring of vision and different degrees of imbalance and nausea. Another set of difficulties can involve general tiredness and greater lapses in memory. These numerous symptoms are to be temporary. Once the various parts involved are set into place, these maladies will gradually disappear. Your brain can then be “rebooted” by the medical teams so you can experience a greater ability to remember events and work on any mental problem presented to you. We say this to properly ready you for what is about to occur. We are all to give you lessons after new governance is installed! These new lessons are fundamentally to correct what the dark has fed you over the last few millennia. Full consciousness is to connect you to Gaia’s and humanity’s Akashic records. You require a prior knowledge of what really happened since your present amnesia. Spirit demands that the Truth be known and shared among you. This is one of our many responsibilities to you. You need to be able to assess this realm and decide what is good, relevant or just needs discarding. We need to establish our evolving collective and prepare you in every way possible for full consciousness. In addition, you need to be made aware of Agartha and the coming of your spiritual and space family. This grand reunion is to bless and alter this realm. 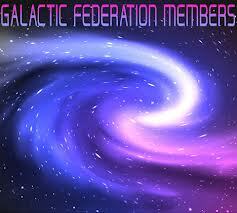 It is to allow you to forge a true galactic society! Hallelujah! Hallelujah! Hallelujah! The winds of change are upon you. While life goes on as before, the changes that occur within you are vast. These changes are taking place within each soul who lives upon the planet. Each soul has agreed to experience these changes. The first noticeable change will be a greater ability to feel emotion and express it. Most people on the planet have suppressed their emotions in order to harden their hearts so that they could function in the ever increasing density and these filters are now falling away because there is much greater light than ever before. As each person is enabled to truly feel and speak from their hearts, all that needs to be expressed will begin to come forth from within their being. At some point in this process, the feelings expressed will be the feelings of love, followed by the feelings of joy and other positive emotions which will move people in directions hitherto unknown on your world. The people of the Earth are gathering together in greater numbers than before so that they can give voice to those areas in their respective worlds that can be improved upon. Individuals are willing to sacrifice their lives for the changes they are demanding. It is a tumultuous time in the affairs of all old paradigm systems which no longer serve the needs of the people. As people continue to awaken, the illusions are dispelled and those who have kept the populace under subjugation are being revealed. There is no place for these ones to hide as the revelations of their backroom agendas comes to light, for each must now come face to face with their own choices and deeds, and make peace with their soul. While this will produce some chaos, ultimately it is for the highest good of all. Upon the planet there are many who are ready to step up and begin to implement sweeping changes in all facets of governance and all its many diverse functions. That which was implemented to harvest the energy of the people in a dishonest manner will be replaced with a system that is more equitable for all upon the Earth. The monetary system will eventually cease to exist in its present form. There is greater sovereignty ahead for each person and each one will realize their inherent responsibility to contribute their input in a worthy and honorable way so that their contributions are in alignment with the greatest good of all upon the planet and not just for a select and nebulous few. The harvesting of humanity in a secret manner will cease forever and humanity as a whole will take up the torch of alignment in greater extent to the Creator of all so that they will be in harmony with the universal laws of conduct. Some very surprising changes begin to come to light. These changes create a chain reaction effect into all areas of the world and will facilitate the beginnings of a better way of living for all humanity. Those at the forefront of this movement will be in position to accomplish great good. The people begin to experience greater prosperity and abundance in their everyday lives and this will have a far reaching impact upon how humanity can live in peace, harmony and prosperity. When every member of the human family has all that is needed for their well being, safety and protection, they can move forward into areas that were not available to them before, the areas of the spirit and the exploration of their own soul, their gifts, skills and talents that lie like hidden gems within them. These will come forth to bless those around them in a loving way. We stress the importance of remaining centered and aligned with one’s higher aspects. The desire to become unified with their divine essence burns brightly within those who have been making the effort to align with the light of the Creator within them. These ones will become successful in their intentions to manifest their Holy Christ Self in and through them. These ones are the vanguard of the new human race, fully realized divine humans, working with unity consciousness. Within all upon the planet, the second coming of the Christ consciousness is dawning. Permission is given to share this message as long as the message is posted in its entirety and nothing has been changed, or altered in any way and Scribe’s credit, copyright and websites are included. Thank you for including the above website links when posting this message. MAJOR CHANGES FOR THE BENEFIT OF ALL ARE FORTHCOMING. WE NEED TO BE PREPARED! MAJOR CHANGES FOR THE BENEFIT OF ALL ARE FORTHCOMING. WE NEED TO BE PREPARED! Many indications are coming forth that we are on the verge of major change. I know………, you have heard it all before. However, since so much work must be done in secret–to prevent public panic–we need to be prepared. As a new economy is introduced, it will take a little time to collapse the old system and implement the new. Banks may need to close for a few days. We all can assist by being prepared … remaining calm … knowing that the collapse of the old is really the fabulous news we have anticipated for years … and helping to educate and calm the fears of those who know nothing about what has been happening behind the scenes. This winter, in the Northern Hemisphere, has given us good practice for staying prepared. We can be prepared by maintaining cash on hand, keeping your gas tank full, and enough food to last for about two weeks. Once you have your supplies on hand, simply know that all is unfolding according to Divine Order. 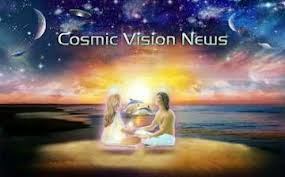 Our galactic family is with us … they, along with the Ascended Masters and thousands of White Knights across our planet are dedicated to seeing that major change proceeds smoothly. Our world is changing beyond our dreams!!! But, in order to reach the really, really, really good stuff, we must go through the inconveniences that are inevitable with major change of our planetary society’s familiar structures that have created so much suffering for many. 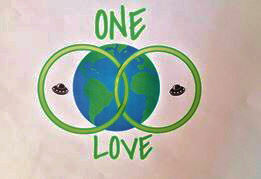 Through it all, remember LOVE IS THE ONLY TRUE FORCE IN THE UNIVERSE! BE THAT LOVE! Filed under: Change is on the Horizon |	Comments Off on MAJOR CHANGES FOR THE BENEFIT OF ALL ARE FORTHCOMING. WE NEED TO BE PREPARED! After listening to this show, I feel as if I’ve been given a bird’s eye of our world–a view we all need to see/hear!